Your phone is your personal device and it has all you personal files like images, messages, call logs etc. And you don’t want to share all those file with other want. But most of the times some of your closed friend or you relative asks to see or use your phone. At this time you don’t have that much time to hide each of your personal data. 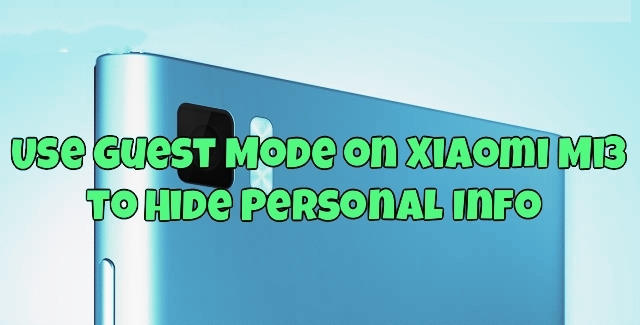 Xiaomi Mi3 Android smartphone has a feature to help eliminate your internal fears called Guest Mode, and it couldn’t be easier to use. There’s a little bit of setup the first time you enable it, but after that it’s breeze. With this way you can hide all you personal data with one click, no need to install any app or use third party tool to hide your personal data. To enable the guest mode on your device all you have to make some changes on your device and you can enable it with one click. Below is the complete guide which you can follow on your new Xiaomi Mi3 android smartphone and protest your sensitive data with others. Step 1. 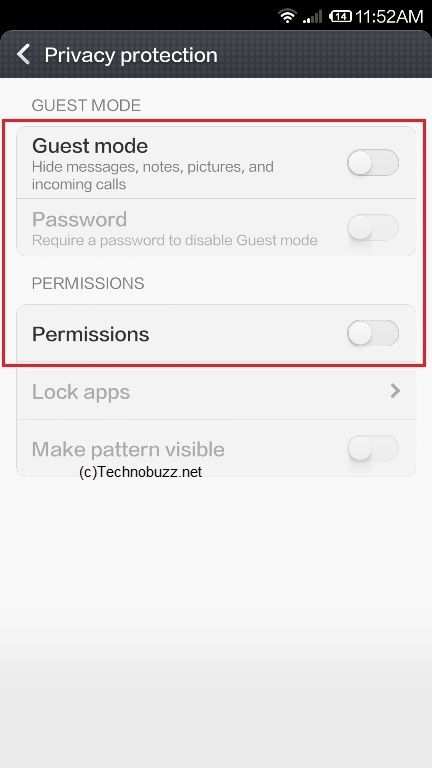 First to activate the Guest mode on your phone Go to the Settings >> Security >> Privacy Protection. Step 2. [Optional] If you want to create a password for the Guest mode, so that no one can disable without using the password, if you don’t want to use password then enable the Guest mode from here. 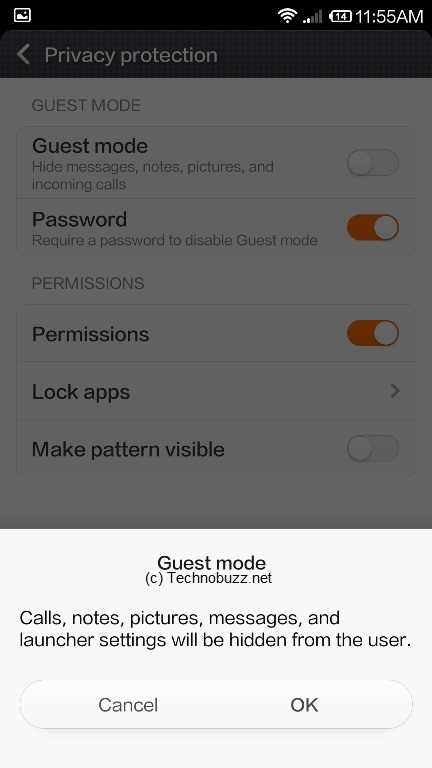 To setup the password first enable the “Permissions” option from the screen and setup the unlock pattern to disable the guest mode. Step 4. Now the Guest mode is activated on your device. 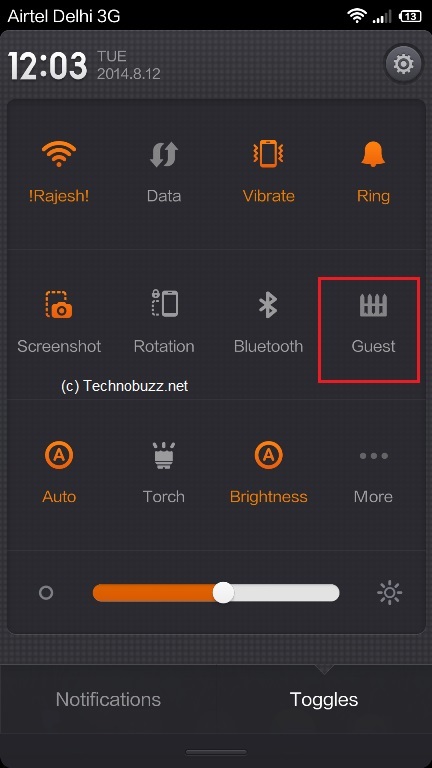 So next time when you have to enable or disable the guest mod eon your Xiaomi Mi3 smartphone, open the quick settings panel and tap on the Guest mode button. That’s it. 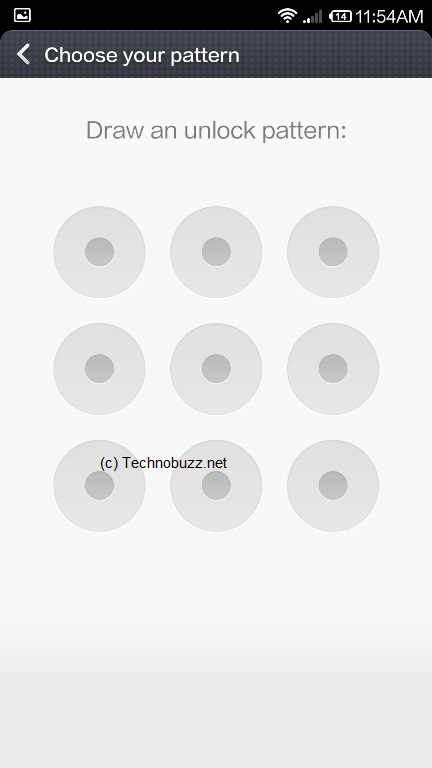 For more tips and trick on Xiaomi check out our post here. For more updates like our Facebook page here and Join us on Google+. I wanna change the security pattern (Guest Mode). Please guide me. i forgot my pattern in guest mode… plz help me to recover it….